Invenio is a science, technology, engineering, and math research journal for high school students. Through this publication, we hope to give students at around the Bay Area the opportunity to publish and share their original research. Through this, we hope to spread enthusiasm for student research, generate buzz about innovative ideas and projects, and serve as an inspiration for high school students in the Bay Area. We plan for our journal to be both online and in print, so that we can reach the widest audience possible. On our website, we intend to supplement research articles with videos of students explaining their work. Our vision is to build a collection of innovative student ideas. Invenio aims to be an engaging forum for young scientists to publish and share their research as well as a repository of ideas in the science, technology, engineering, and mathematics fields. With your support, we hope to be able to cover printing and software costs so that we can get our research journal off the ground. Every year, over 100 students from Lynbrook High School alone participate in science fair competitions, such as the Synopsys Championship, Siemens Competition, and Intel Science and Talent Search. In the Bay Area alone the number of students who conduct independent research ranges well over 1,000 students a year. However, despite the high caliber of the research and inventions created by many of these high school students, much of their work is often simply filed away after these competitions. We are creating Invenio to allow high school researchers to both publish their original research work and engage with others within the larger STEM community. We have sent out a survey to all the science and math clubs at Lynbrook and have received and collected contact information for over 50 students who are interested in both reading and joining our publication. In order to reach out to students in different schools around the area, we plan to publicize our journal in local newspapers and through our local Synopsys Science Fair. The Invenio STEM journal is directed towards students who have either conducted independent research before or who aspire to do so. Students who have conducted research can contribute to our journal. Not only does this help them publicize their research, but also helps the community become more aware of the research high school students conduct. We also hope to inspire more students to become engaged in STEM through this journal. By having students share their research, we hope that younger students will be encouraged to find research opportunities of their own as well. Amanda Alonzo is currently a biology teacher as well as the STEM research teacher at Lynbrook High School. She would like students to have a chance to explore their own interests in science in general. She believes that every student has the potential through effective effort to solve problems in the world and create innovations to improve health and wellbeing. In addition science, Amanda has always loved dance and was the dance captain of her high school. 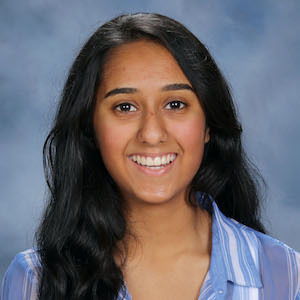 Gauri is a Lynbrook High School junior passionate about studying neuroscience. 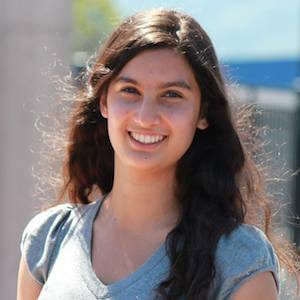 She aspires to one day aid those struggling with neurological disorders and to pursue a career in pediatric neurology. She loves competing in science fairs and is currently working on a potential cure for Alzheimer’s Disease. In her free time, Gauri volunteers at Angels on Stage to teach special needs children to perform on stage. She is also a dance enthusiast who is vice-president and co-founder of the club WorlDance. Gauri’s love for dance has helped her win national competitions and she hopes to continue dancing in college. Marian is a junior at Lynbrook High School who hopes to encourage aspiring female scientists as the treasurer of her school’s Women in STEM club and as the vice-president of Junior Engineering Technical Society. She is working as a research intern in the stem cell field at Stanford University and has received national recognition for her writing. She enjoys playing the piano for residents at senior centers and hospitals and doing kendo as a sport. As the poetry editor of her school’s Vertigo Literary Magazine, she spends her free time writing poetry and attending writing workshops at cafés. Maitreyee, a senior at Lynbrook High School, is passionate about using technology to help those in need. She is the founder of BlindWalk, a social enterprise that specializes in developing software technologies for the disabled, and is currently developing an indoor navigation system app for the blind. 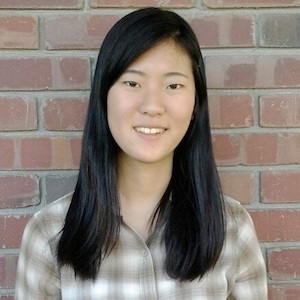 Furthermore, she currently interns in two research labs in the Computer Science department at Stanford University, competes in science fair competitions, and is highly involved in several nonprofit organizations. Besides all those academic-related activities, Maitreyee plays competitive soccer and runs cross-country. Your contributions will help us cover costs for the website domain, the design software needed for production, and printing costs. We hope to spread our love for high school STEM research both online and through hard copies to reach as many people as possible. We plan to submit our journal to competitions to help students receive even greater recognition for their research. As a result, your contributions will not only help pay for production and printing costs but support high school student research as well. We will also use the funding to buy a video camera to post videos of students explaining their research on our website.